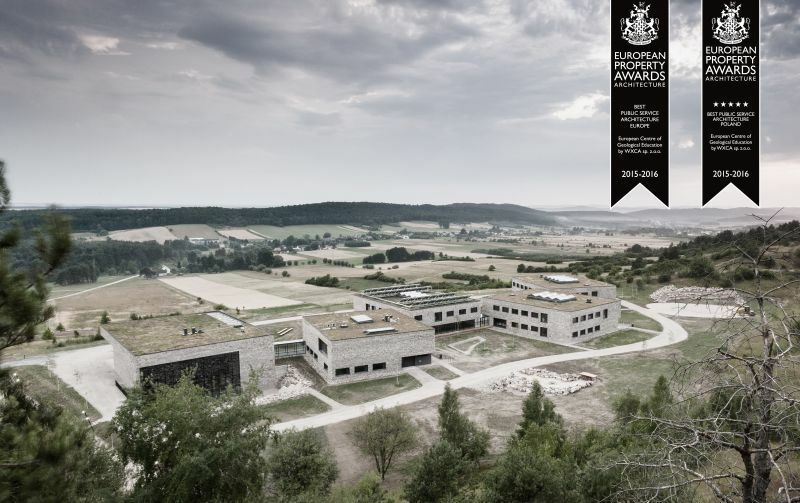 European Center for Geological Education as the best Public Service Architecture in Europe! In September, we were pleased to inform you about the European Center for Geological Education being awarded the title of the best Public Service Architecture in Poland. Today, we now know that the investment designed by us has been honoured with the best Public Service Architecture title also in Europe. The International Property Awards is a world-renowned mark of excellence. The participants are subject to meticulous analysis encompassing all aspects of the real estate sector by a panel of over 70 experienced professionals. The European Center for Geological Education is not just a modern, functional and bespoke building. This is a perfect example of the harmonious integration of a man-made structure with nature in its purest form. In the words of Szczepan Wroński, WXCA CEO: „We didn't want to overly interfere in such a unique place. We endeavoured to operate very delicately and to etch our way into the context. We were mainly guided by intuition.” The building facade was made of local stone, the roofs of the buildings and the area surrounding the facility are covered by xerothermic grasslands, while the walls of the conference hall are largely authentic exposures. It also is an incredibly eco-friendly facility which is ninety percent powered by renewable sources of energy. The project's success is the outcome of the productive collaboration between the University of Warsaw and WXCA, the contractors, city authorities as well as the local community. We are honoured to be a part of this venture and worthily represent Poland on the international arena. The International Property Awards is an international competition open to residential and commercial property professionals from around the globe which has been held every year since 1995. It has always celebrated the highest levels of achievement by companies operating in all sectors of the property and real estate industry. The awards are split into regions covering Africa, Asia Pacific, Canada, Caribbean, Central and South America, Europe, Saudi Arabia, UK, and USA. The highest-scoring Companies from each region are then entered into the overall International Property Awards.